These three scientists wondered about chemical structures in the same bizarre way and are the founders of the theory of chemical structure. Alexander Mikhaylovich Butlerov, a Russian chemist, one of the principal creators of the theory of chemical structure. Archibald Scott Couper, a Scottish chemist who proposed an early theory of chemical structure and bonding. August Kekulé, a German organic chemist. He was the principal founder of the theory of chemical structure. In 1951, physicist Erwin Wilhelm Müller, a German physicist, was the first to see atoms. He did this using his own invention: the field ion microscope. 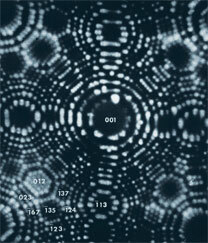 Literature doesn’t have the photograph of what he saw but the following photograph is similar to what he observed: each dot is the image of an individual platinum atom. In 1931, Max Knoll and Ernst Ruska built the first TEM. In 2013, researchers put this to use by observing what happens inside a battery. The following image is a TEM image of the polio virus. The third glass quickly replaced the second in the year 1952 when the following photo was captured. But it was rather an indirect picture – Photo 51. 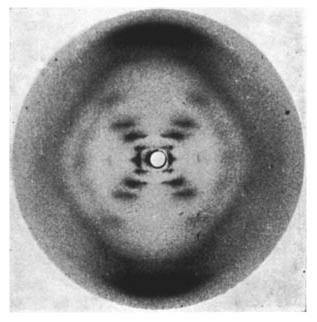 Photo 51 is the nickname given to an X-ray diffraction image of DNA taken by Raymond Gosling in the lab of Rosalind Franklin, as her PhD student. The fourth glass was put on with the advent of scanning tunneling microscope. This gave rise to a technique called as scanning probe microscopy. Atomic force microscopy (AFM) or scanning force microscopy (SFM) is a very high-resolution type of scanning probe microscopy. In 2009, a single molecule was imaged for the very first time by IBM researchers. This was done by using a AFM. It is with AFM that for the very first time (2013) that scientists saw how hydrogen bonds looks like. The following is its picture. The fifth glass is our very own digital camera. Researchers from UCLA have developed a smartphone microscope to see single virus and synthetic nanoparticles. It produces images almost as good as a SEM. Last week, I attended a lecture by Prof. Prashant Jain (nanogold.org) from the University of Illinois, at ICT, Mumbai. It was called ‘Elucidating chemical reactions on the nanoscale’. He described how we can observe individual nanoparticles instead of observing the reaction in bulk. His research involves ‘Imaging Phase Transitions in Single Nanocrystals’. The following is a section from his profile describing this research work. Phase transitions in solid-state materials often involve interesting dynamics. Since macroscopic solids are typically polycrystalline, such dynamics is smeared out in studies on bulk solids, due to ensemble averaging over different crystalline domains. By acquiring snapshots of a single nanocrystalline domain undergoing a phase transition, our lab is attempting to uncover the dynamic trajectory involved in the nucleation of a new phase. We are developing new optical and spectroscopic methods to acquire snapshots of model phase transitions and also using these techniques to learn new facts about fundamental phenomena such as crystal growth, impurity doping, and correlated electron systems. We’ve come a long way observing chemistry, haven’t we? The more we see, we find how less we know. Acknowledgment: Thanks to Dirk Schweitzer for introducing me to the paper – ‘Camera-enabled techniques for organic synthesis‘. You can find him on Google+.